There's been a recent slew of articles in the BMJ and the Times of India about medical corruption. This is a good first step , because openness and transparency are effective means of treating this sickness. However, while the articles do a good job of documenting the problems, they fail to provide effective solutions. Most of the solutions are impractical - after all, preaching to unethical doctors that they need to start practising medicine ethically by refusing to take cuts and kickbacks is hardly going to help ! More regulation is ineffective because the regulators ( Medical Council of India) themselves are corrupt ! What's worse is that these articles just drive the wedge further between doctors and patients. Patients start treating all doctors with suspicion - and this lack of trust will prevent doctors from being able to provide high quality medical care to their patients . A far more practicable solution is to cut out the middle man between the patient and the doctor. This is what causes the corruption in the first place, and unless we address the root cause, we will only be able to provide band aid therapy, and the problem will continue to fester. This is where Information Therapy has such an important role to play. If every doctor had their own website, patients would be able to reach out to them directly, so there would be no need for specialists to pay referral fees. Also, hospitals would be able to maximise their bed occupancy, so that they would not need to incentivise specialists to refer patients to them. 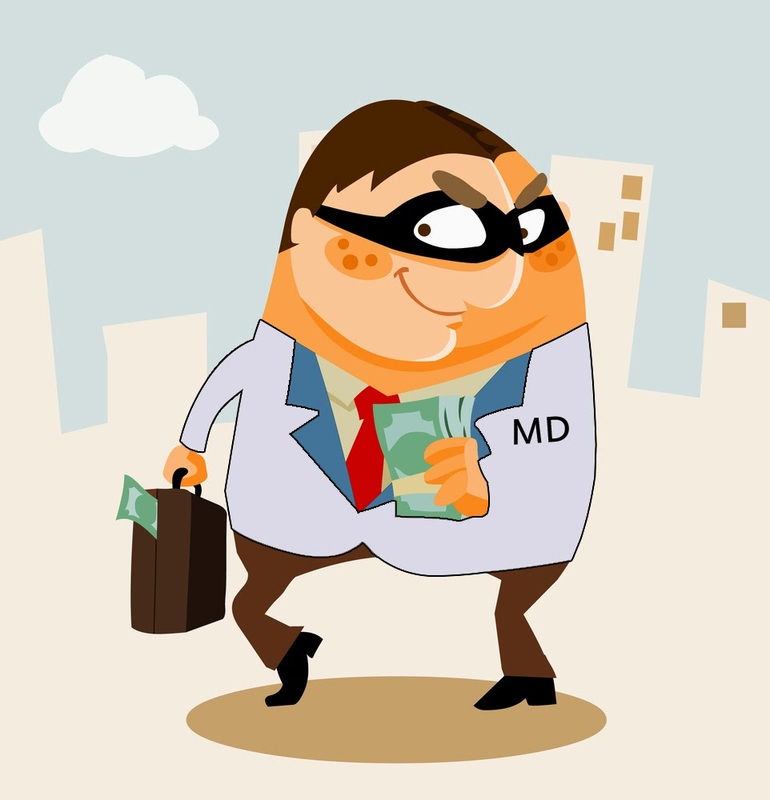 Since doctors would not need to waste money on paying kickbacks, their professional income would improve, and they would no longer need to accept bribes from pharmaceutical companies or commissions from labs and imaging centers. Finally, since doctors would have to be open and transparent on their website, they would be able to create much more trust in their patients. This is a solution which has a high degree of efficacy, with no side effects ! Join the discussion please - have suggested #medicalcorruption as a hashtag on twitter !